Favorite Quote: It is a painful fact indeed to realize how poorly prepared most Christian leaders prove to be when they are invited to be spiritual leaders in the true sense. The Wounded Healer is a book that I recently read for Tozer Seminary. 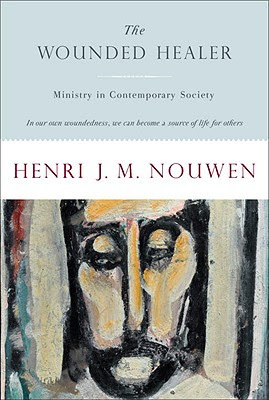 I had heard great things about Nouwen prior to reading this book and am able to confirm what I have heard. Nouwen is a brilliant man! The overall subject of the book can be summarized in this quote from the book on page 78: "Who can take away suffering without entering it?" In this book Nouwen encourages the reader to be a "Wounded Healer" meaning that we understand that we are not perfect people. In fact I think it would be the opposite; that we are all wounded but some of us have chosen to initiate healing in our lives while others haven't. Those who desire healing need to be wounded healers that are mending their own wounds while being aware of where God would like them to help heal others at the same time. The book brings up some great examples, and illustrations, that can help those of us who desire to see life change happen in others. I am going to recommend this book to others to read but I have to give you a waring. If you read this book you are going to be stretched in your thinking and challenged in how you live your life from this point on.